In an attempt to recapture a feeling of nostalgia along with those warm feelings one has in childhood, Patrick Underwood has created a beautiful film that delves into those areas, and deals with self-actualization, loss, and new beginnings. An impressive film for a first time director, The Middle Distance, written and directed by Underwood, premiered at the Chicago International Film Festival. Underwood also qualified to compete in the “Best New Director” category. The Middle Distance is the story of two brothers who are reunited after the death of their father. Neil (Ross Partridge), the older brother, is a successful LA consultant who is a womanizer, a heavy drinker, and a fairly self-centered person. James (Kentucky Audley), who still lives in the Michigan area, is suddenly called away to perform a gig with his band. Rebecca (Joslyn Jensen), James’s fiancée, begins to break through Neil’s hardened layers, and an unlikely friendship is forged while James is away. Themes of kinship and a search for nostalgia are themes that are explored along with a longing for reconnection to feelings one has had with a special family place. The film was screened at the AMC River East Theater in Chicago, which Patrick Underwood attended, and concluded in an audience Q&A session. Patty Babin and Kay Eller from Sarah’s Backstage Pass attended the screening and said that Underwood told the audience that the weather and location became characters in the film. The Middle Distance takes place in Underwood’s childhood vacation town of New Buffalo, Michigan. Shooting in the winter was intentional, as at that time of year, you’ll find few people together with frigid temperatures. Underwood was complimented on the acting by an audience member, then asked about the origin of the title. I spoke with Patrick Underwood via phone after his whirlwind Chicago premiere weekend. My personal connection to the film is that my father-in-law has owned a home on Lake Michigan in New Buffalo since 1982. Naturally, I know the area well and also am fond of it. Sarah Knight Adamson: Congratulations on completing your first major film! Patrick Underwood: Thank you! It’s been a long time in the making. SKA: I know that you grew up going to a lake house in the area, and you said it shaped your thinking. Could you speak to that point? PU: My parents got a place there in, I think, ’86. That would be almost thirty years ago. I guess it is the thing that I think about regarding formative experiences. This is like when I started thinking more about what that really means to me now as more of an adult, versus what I think it used to mean. My friend said something to me I thought was really interesting, which was that he experiences nostalgia as less like a longing for a specific person, place, or a thing, but a longing for the ability to feel a feeling that you can no longer feel. He remembers he has the feeling, but it doesn’t feel the same, if you know what I mean. PU: The movie for me comes from a lot of different places, but I settled on this idea of the feeling that I remember having that is gone away, and my sense is that the feeling was born there. I’m not a psychiatrist or psychologist, but I don’t pretend to have that much of an insight into those questions, but I do think there are little moments, little images, little feelings, little snippets of life that I remember from being a kid. It felt like a magical place. I’m from the city. I’m from Chicago, and that’s its own kind of magic, but for a kid, it feels like you’re in the Wild West when you’re up in Michigan. There are woods over here, and the lake over there. There’s just none of the boundaries of a city. I think it was a real formative time— I think it is for everyone— but for me, it was those specific impressions of what it meant to be that kid, and then having … I remember feeling something special. I just can’t feel it anymore. It’s just been lost to time. SKA: Did any of that come back while you were filming? PU: No. I still go up there. My parents still go up there pretty much every weekend. I go up, and my dad and I play golf, and I’ll go up there and have dinner with them, just hang out. It wasn’t a homecoming for me in the same way that it is for my character. PU:I think it’s fun to shoot scenes in places that I’ve known for so long, and that meant something to me, that continue to matter to me. The meaning has shifted but trying to look at it with the eyes of that person who used to feel certain things. SKA: Sure. Yes, speaking about that, the locations were interesting. 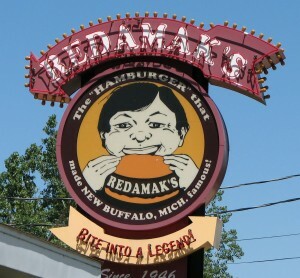 Redamak’s, who knew that that could be a bar? Which, by the way, looked really great in the film. People think it’s a bar when it’s really a family burger place. That’s pretty cool. 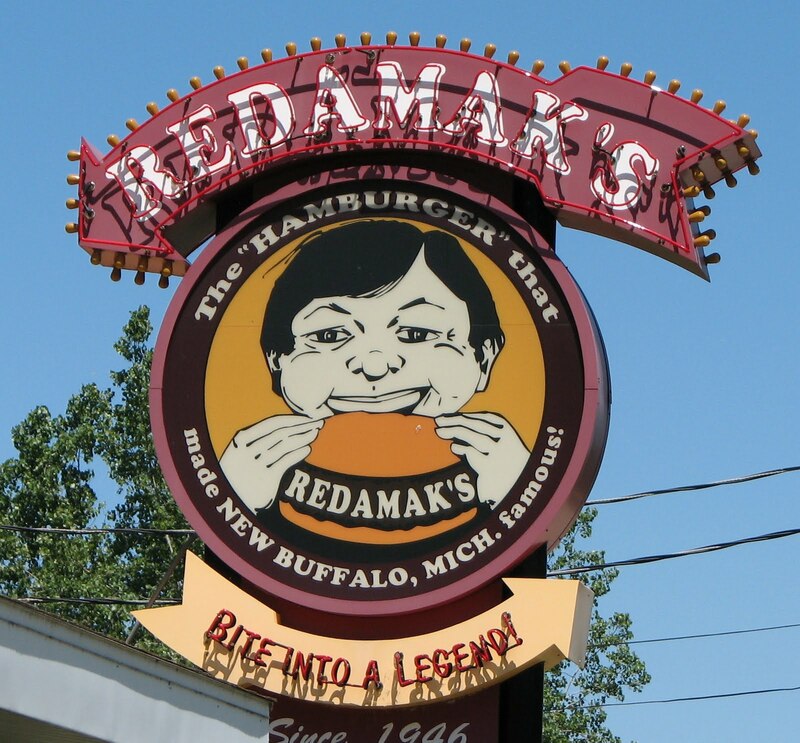 PU: Yeah, Redamak’s actually placed two locations in the south, so we shot … They did build a bar. It doesn’t look anything like the bar we created out of nothing. SKA: I think you filmed at Casey’s and Rosie’s. PU: Yeah, we filmed right in front of Casey’s. We filmed inside Rosie’s. We filmed in the back of The Stray Dog. SKA: Yeah, I saw that too, coming over the bridge. 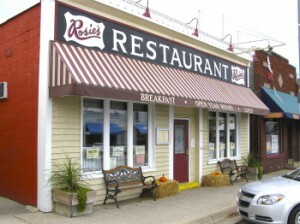 Hey, did you eat at Rosie’s? SKA: Oh my gosh, their breakfast is so good! 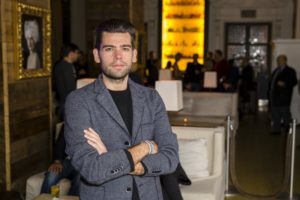 PU: Yeah, they were very kind, and actually Roman [Vyskocil ], who owns Rosie’s, he was very helpful to us in terms of getting a lot of these locations. As a local business owner, it’s pretty small obviously, and he knows everybody. SKA: Yeah, that’s who you need in your corner. 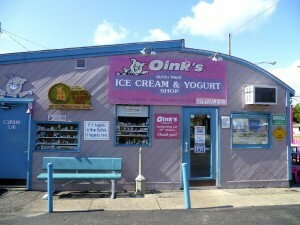 SKA: Yes, I was wondering about Oink’s. Okay, but did it get cut because it didn’t move the story along or something else? SKA: What month did you film? PU: We shot basically the whole month of February. SKA: Oh, it looked like February. PU: Yeah, it was very, very cold. SKA: I was wondering, since you had such fond memories, most people go in the summer, was it to set the tone of the film to shoot in the winter; the tone of isolation, searching, longing, and perhaps desolation? PU: Yes, That was very intentional. The cheesy version they’re cold people, they’re cold souls. SKA: (Laughing) I love that. You can really get deep with this, can’t you? PU: Yeah. Yeah, I try not to. SKA: But no, that’s interesting. You know what you did for me? I actually want to go there now and see Lake Michigan frozen over like that. I’ve never seen it like that; only in photos or movies. It was beautiful. As a matter of fact, that was my favorite shot of the cinematography in your film. I was wondering what yours was. PU: Yeah, I think it was really a spectacular moment. SKA: Oh, it was just fantastic. You had the sun rising against the sky just perfectly. PU: Yeah, we got really lucky that day. It was also fifty-eight degrees that day. The day before, it was negative 30°. PU: That’s the kind of shot that I think you don’t often see in small movies because we had a very particular kind of lens, and we obviously shot at a particular place. The light was just luck. SKA: It is a beautifully photographed scene. I just loved it. SKA: I have to compliment you on using a prop to say so much about a character. The fact that Neil (Ross Partridge) starts wearing his father’s coat in the film says so much. PU: Thanks for saying that; you know, that wasn’t in the original script. It just came to me while we were filming. Also using the golf carts happened during filming. Those changed the tone of the film in the second half. SKA: Yes, I agree, a golf cart screams fun. SKA: For the audience, what were you trying to portray in your film? PU: The theme that I had in mind when I was writing, and then when we were going through making the film, was obviously the theme of “lost.” You get this guy, a pretty empty fellow, and he’s pretty much a shell of a human being. I think whether he knows it or not, he has come back here really to try to find something that’s gone. He’s trying to recapture something. For me, I don’t actually believe that the people who made the movie end up having a definitive take on the movie. I think the movie may be different from what the director or the writer thought he was doing. But for me, I think he’s back there, like the feeling I was describing. PU: He remembers being a different person in this place, and that that person’s gone. I think at some level, he probably, if you could get an honest answer out of the guy, which we couldn’t, it’d be something like I’m looking for the older version of me that I remember being a little bit happier, a little more whole. SKA: Sure. Thank you so much for talking with me and best of luck with the film! 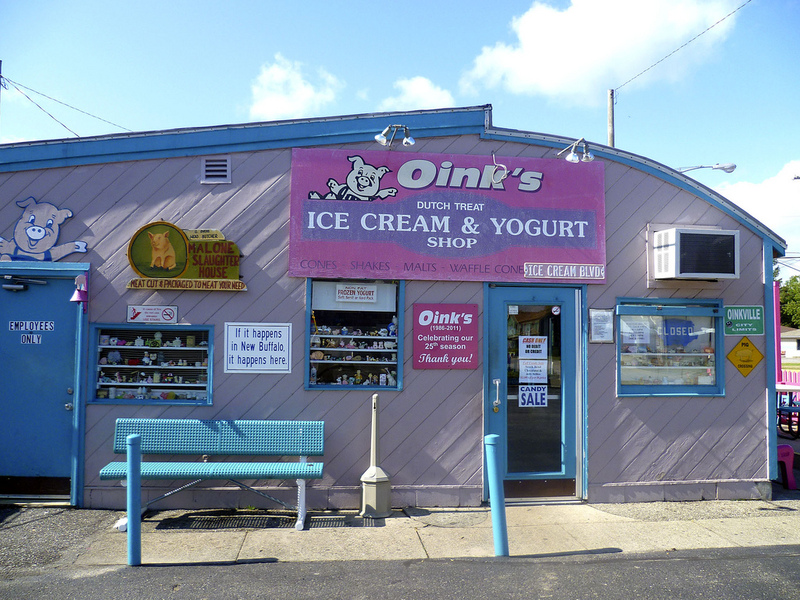 I’d be happy attend a screening next summer in New Buffalo and conduct a Q&A at their beautiful new library, but afterward, we’d have to all go to Oink’s for some yummy ice cream. PU: Thanks, that sounds fun.